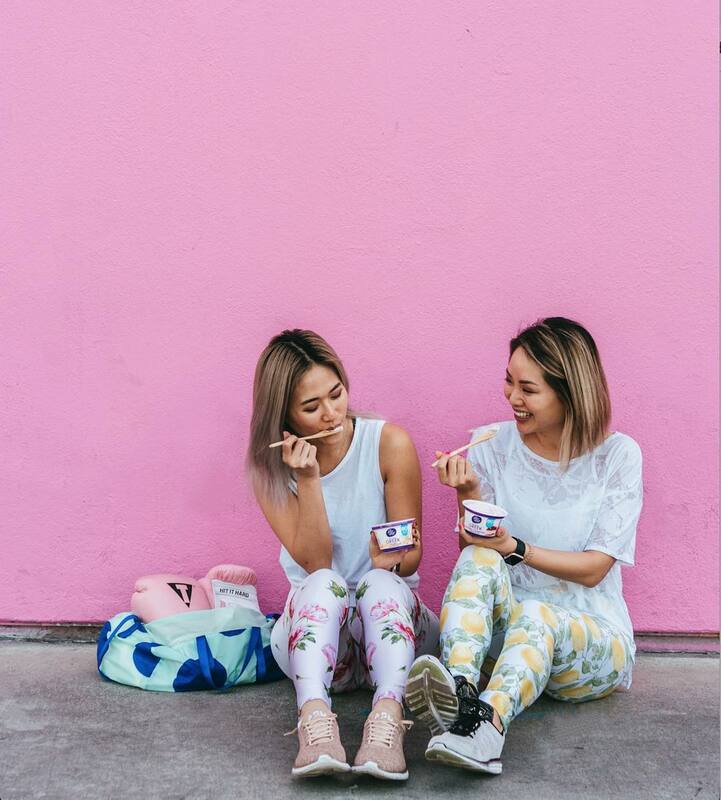 @exercisewithextrafries: "Companies should not undervalue influencers"
Joanna and Grace Park are fun, colourful and hilarious. They have cultivated a following by being honest and approachable about their lifestyle. Whether it's from battling hungover cravings or always engaging with their comment thread - their account is consistently met with affection and appreciation for how they create content. We first started taking photos at different boutique fitness studios. We loved to work out, and it was trendy to share your Classpass workouts. Once we started posting about our workouts, we started to take more photos of everything, from our food to our dogs. When we first started our account, we thought it would be nice to get some free clothes here and there. But as our account started to grow, we realized we could do much more than just post a photo of our workout. We invested in a nicer camera, started to learn to edit our photos, and branched out. Tell us more about finding your niche and deciding to share an account? We were working out together a lot at different fitness studios via Classpass. We enjoyed doing it together. Being 5 years apart, it was our first time having something in common. We would take a photo after the class, but they were always very similar photos, if not the same. We would compete with each other to see who would be able to post it first. We’d even hold off on sending the photo to the other to be able to post it first. Eventually, we realized our friends and followers were overlapping, and it would be easier to share an account. When it comes to our personal lives, we are private in general. In the beginning, we never talked about our relationships because we wanted to keep the account focused on us. But we are realizing as our account has been growing, we can't keep everything private. When it's related to both of us, we discuss to see if we are both comfortable sharing. When it's a personal matter, we leave it up to the person to decide when she is comfortable sharing it. What're your plans for 2019? We’d love to pursue content creation full-time, so we’re making those plans now. We’re also planning to travel more this year! Do you have separate roles or is it constant collaboration when creating content? We have separate roles for our day-to-day tasks, such as answering emails and replying to direct messages. But when it comes to creating content, we always work together to brainstorm ideas and execute it. We do our best work when we can bounce ideas off each other and work together. What are your thoughts on transparency - particularly during brand collaborations? No matter how organic the content is, content creators should still disclose the relationship. You should still be transparent that you're being paid even if it's an item you use every day. What rules do you follow when creating branded content? First, we only take partnerships with brands that are in line with our brand. If it’s a brand we love or a product we use or consume regularly, it’s an easy fit. With other brands, we make sure we can fit the product or service organically into our lives. Next, we use Asana to keep track of our partnerships. We put all the necessary information in there, such as deadlines. We then brainstorm ideas by getting inspiration from Pinterest and Instagram. We usually create a board for each project. When shooting the content, we generally try to get both of us in the photo. We feel that our audience responds better to photos with both of us in them. We recently have been trying to take more time with our photos to avoid any reshoots. We try to get at least 2 or 3 different shots and have been experimenting with taking different angles and closer detailed shots. What is your favourite city to work in? Grace: Los Angeles. As much as I love to travel, working from home is the easiest. 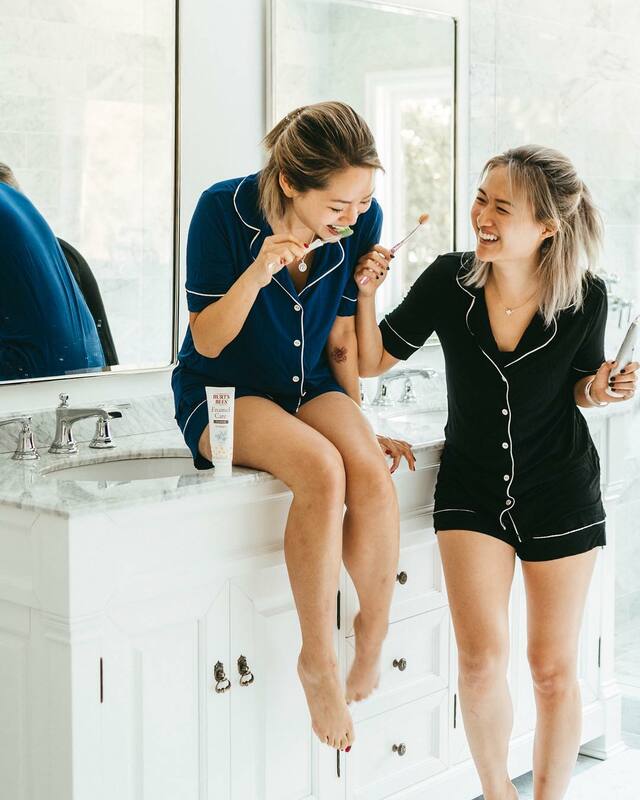 What improvements could be made to influencer marketing? Companies should not undervalue influencers. Not only is it advertising, but it's also content for the brands. Instead of going through a process of a shoot with hiring models and photographers, they're paying us. It's more than just taking a photo and uploading it to Instagram. A lot goes into the one photo. Influencers also shouldn't undervalue themselves. What changes, for the better, could be made to the fitness industry? No more fad diets or teatoxes / gimmicky quick result diets. People see these and really fall prey to them. We did when we were younger too. It's horrible for your body. We’d also love to see more diversity with different ethnicities and body shapes. Engaging with followers. We like to like and comment on posts from hashtags we most frequently use. It does take a bit of time but the accounts we engage with is very authentic and fits into our niche. Honestly, we think we're still trying to find it. But right now, we're trying to incorporate more elements into our photos, rather than a clean, white background like we used to. We love bright colours and textures. Tell us something no one knows about you both. Joanna: I failed PE in high school. Grace: I quit law school. What's been your favourite piece of work to date? Our partnership with Alfred & American Airlines. 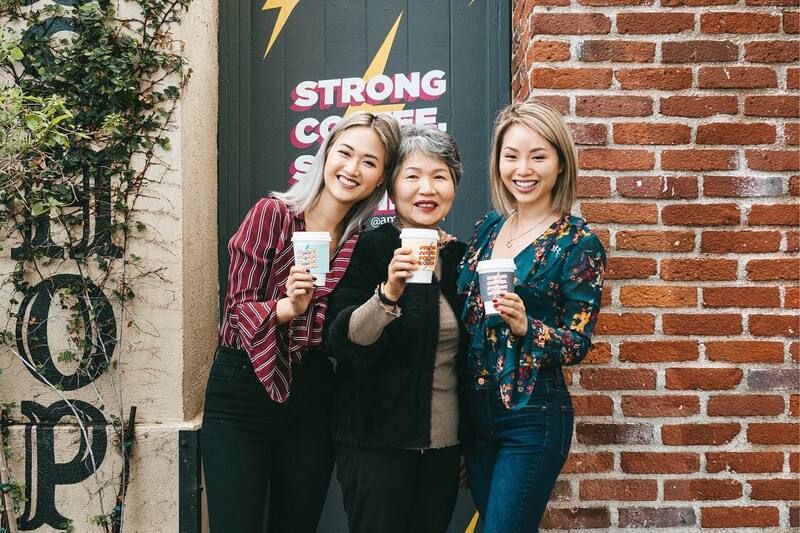 We loved being able to include our mom in our post because we truly do find her to be incredibly inspirational and strong. We appreciate the support she’s given us over the years and the steps she’s taken to understand what we do. People that inspire you on Instagram (or generally)? @theskinnyconfidential - We feel like Lauryn is on everyone's list. She has created an amazing brand and is incredibly hard-working with multiple platforms. 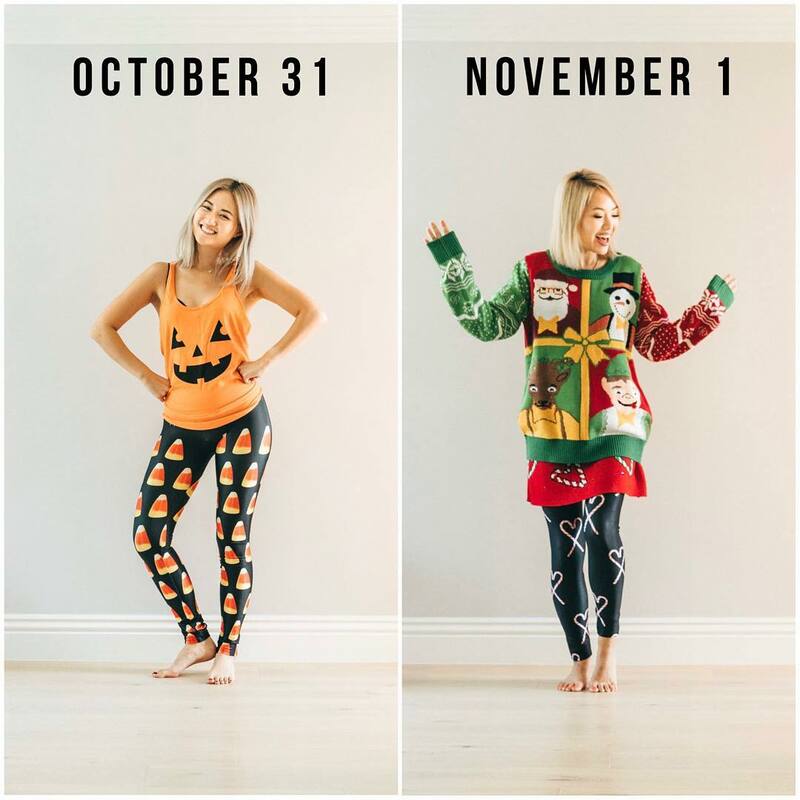 We’re also so impressed with how seamlessly she manages to cross-promote all her content and how organically she incorporates her sponsored posts. She manages to always be "on brand" because she is so genuine. She's super friendly and nice in person. She’s the same in person as she is online. You get what you see. Where would you like to see your partnership in 5 years? In 5 years, we would definitely be doing this full time. We’d also like to do more than Instagram, such as YouTube. We'd additionally love to branch into some branded products and do more videos. We'd love to have a team helping us create all the content. If you could give one piece of advice to your younger selves, what would it be? Pursue something creative. With Korean parents who immigrated to the United States, there was always a pressure to pursue a traditional career like in medicine, law, or finance. We wish we had nurtured our creativity more when we were younger. What words sum up your job title?